Every year, Chicago dyes its river green in conjunction with its St. Patrick’s Day parade. 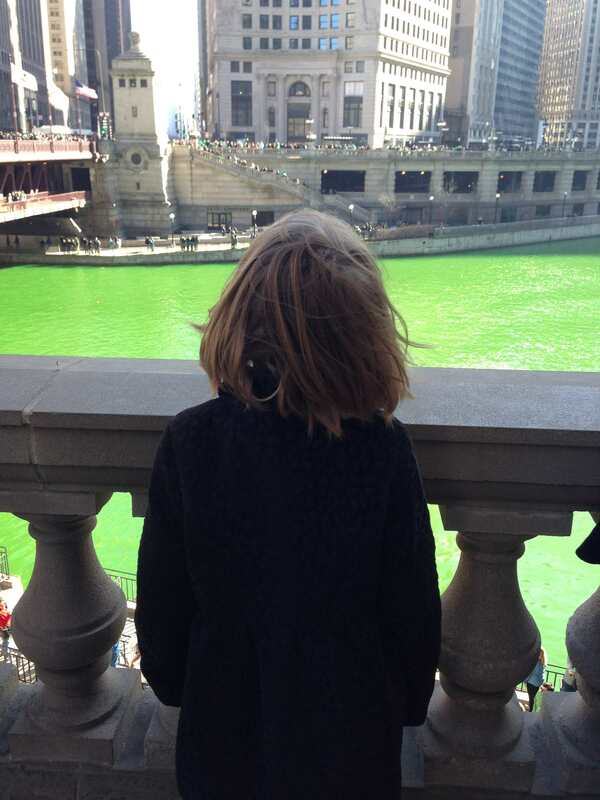 The tradition dates back to 1962, when Mayor Richard J. Daley and his childhood buddy Stephen M. Bailey decided it would be a bit of a lark to dye the river green to mark the holiday. This year, they dyed the river on Saturday, so of course, the Seven-Year-Old, her Daddyo, her Uncle Cullen, and I trekked to downtown to check it out.